Scientists have designed a new type of filling that is being described as a revolution for dental care. Along with removing the need for mercury-based fillings, this new invention will also protect teeth from further damage and decay. A team of professionals based at Queen Mary University in London have discovered that bioactive glass releases minerals including phosphate and calcium that help the tooth to repair damage caused by bacteria. Professor Robert Hill has stated that he believes this new technology will positively change dentistry forever. 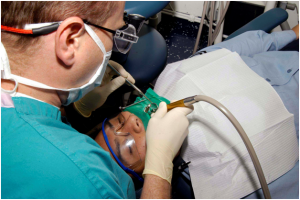 He went on to say that there is almost zero risk of a bioactive glass filling falling out and the compound will hugely reduce the number of secondary cavities experienced by patients. This is because the filling not only helps to keep out additional bacteria, it also repairs damage that has already been caused. DLA have reported that most traditional fillings will fall out at some point because of the secondary tooth decay that occurs between the tooth and the filling. As bioactive glass fillings contain ions that have been proven to be toxic to oral bacteria it is possible for these new fillings to last a lifetime, removing the need for additional treatment. 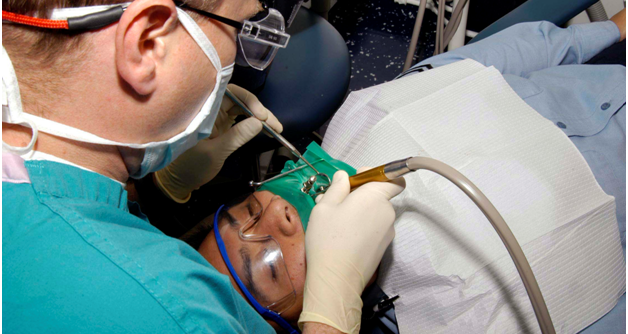 Is It the Beginning of the End for Amalgam Fillings? Amalgam fillings, which are commonly used currently, are made from a number of metals including mercury. Due to their levels of toxicity they are actually banned in a number of countries around the world. In the UK composite fillings are available, but only when treatment is paid for privately. International talks and agreements have put pressure on scientists to remove the need for fillings containing mercury by 2020, and have subsequently directly contributed to this new discovery. It is hoped that clinical research will confirm results from laboratory tests and that bioactive glass will be incorporated into composite fillings within the next few years. Every dentist in Dublin, including Docklands Dental, will be keeping up to date with the latest developments in this field to ensure their patients will benefit from this new treatment as soon as possible. Approximately eight million amalgam fillings are completed every year, which means a huge number of individuals are set to benefit from this dental breakthrough right across the country.